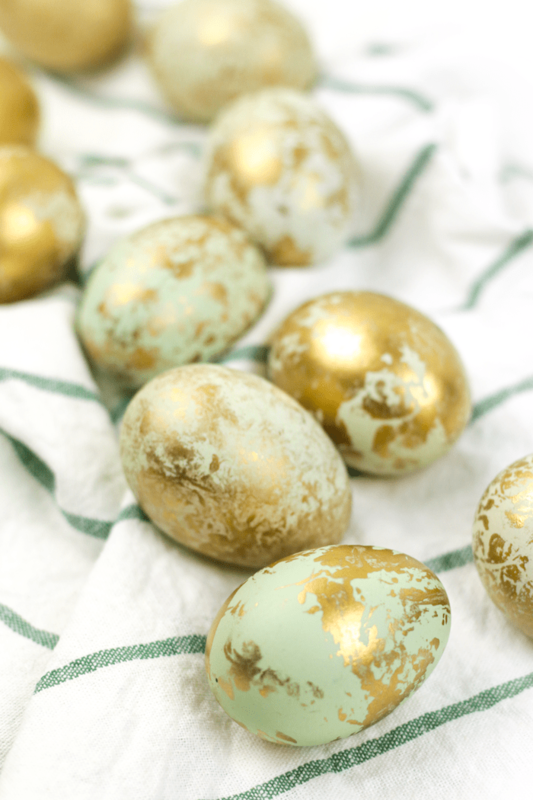 Embellish your spring table with a centerpiece of hand-decorated Marbled Gold Easter Eggs. 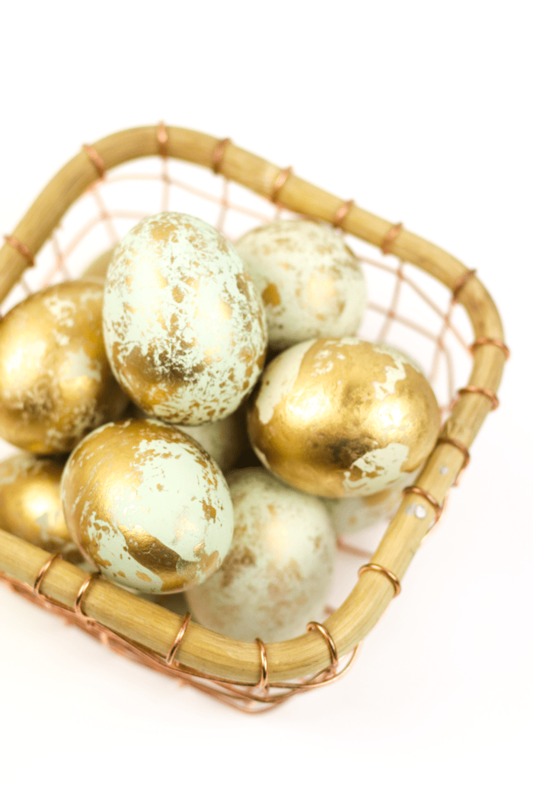 Make this beautiful, 10-minute craft with natural eggs or dyed ones! Easter egg dying has always been a favorite pastime of mine. 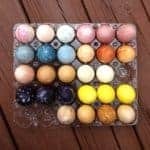 Remember these All-Natural Easter Egg Dyes I made a few years ago? 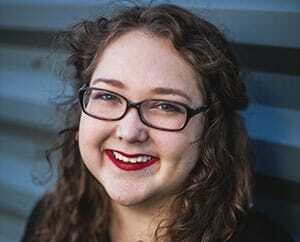 I have the fondest memories of rainy April afternoons around my family’s kitchen table, with teacups of colored liquid arranged in the center and the air thick with the ripe, cloying smell of vinegar. A good ol’ crafternoon is always a lovely thing to do in the springtime. Now that I live in a new place, I am trying to get back into crafting and DIY projects whenever I can. It’s something to do, but it also pulls out my inner art & design nerd. Plus, there’s just something so satisfyingly cathartic about working with my hands — and not at a keyboard. The hardest part is just finding the time! 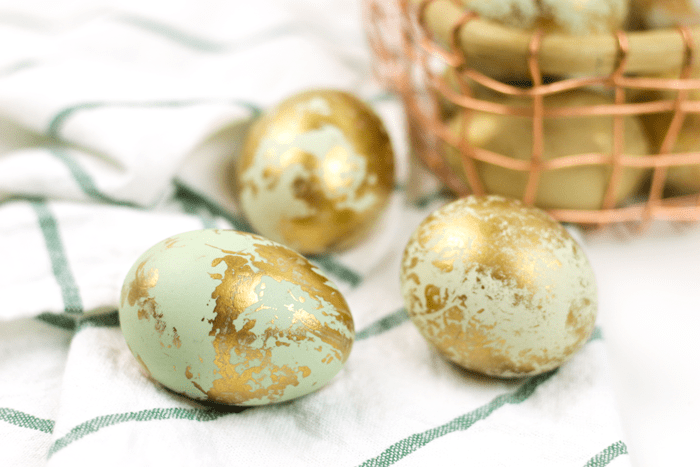 My latest project is these Marbled Gold Easter Eggs. My mom and I had so much fun making these. 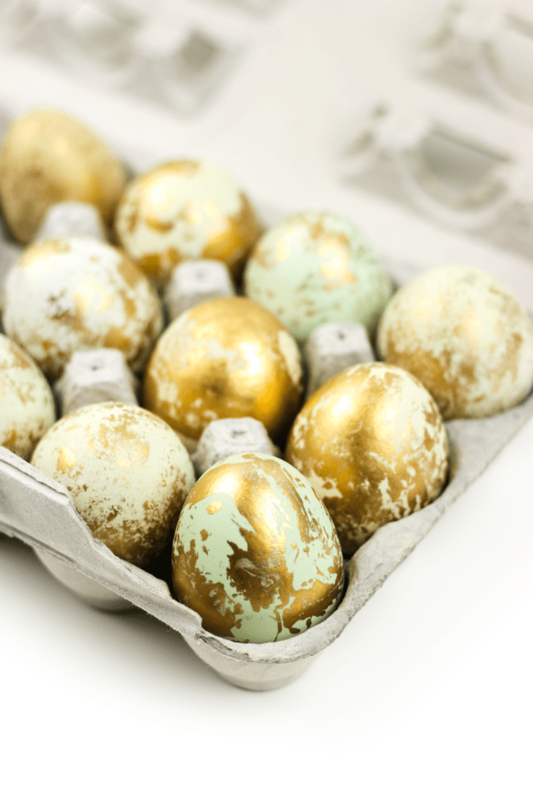 They take almost no time at all, so these are the perfect Easter egg if you’re low on time this year. As much as I love dyeing eggs, I decided to go even more au naturel this year! Just plain chicken eggs. No teacups of vinegar required. We used local eggs from a local farm. I usually get a mixture of white, brown and green eggs, but this time I asked for more green ones so I could decorate them like this! 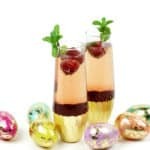 After hard-boiling them, we embellished them with gold gilding. To get the marbled effect, we rolled them in crumpled wax paper coated with the liquid gold, then let them dry. That’s seriously it! The whole thing only takes 10-30 minutes, depending on how quickly the gilded gold dries. 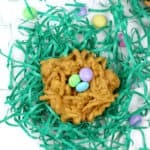 Easiest egg decorating crafternoon of all time! Now that’s a way to improve a pastime. 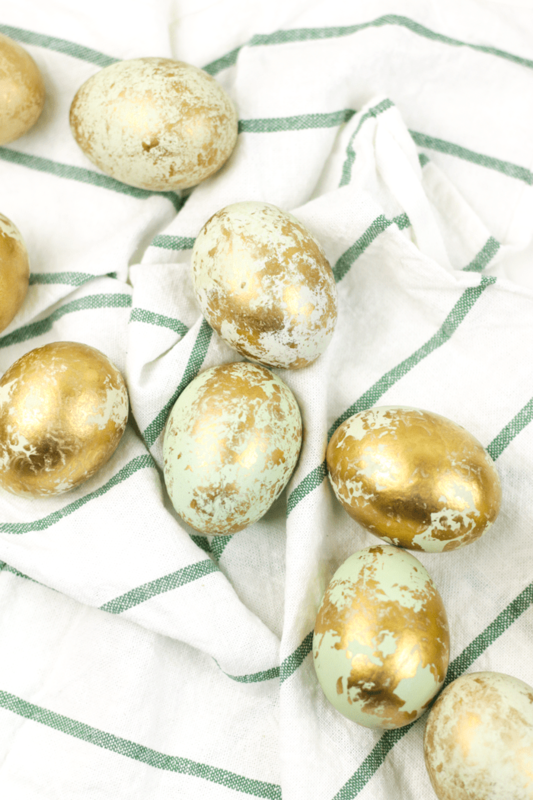 Pin these Marbled Gold Easter Eggs! Bring to a boil over medium-high heat. Remove from heat, cover and set aside for 8 to 10 minutes. Place in the sink and fill pot with cold water until the water in the pot has reached a cold temperature. Carefully remove and dry eggs. Crumple an 8×8-inch piece of wax paper. Uncrumple. In the center, add a small amount (1/4 to 1/2 teaspoon) gilded gold. Crumple the paper again to distribute the gilded gold. 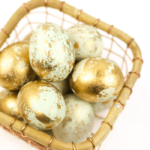 Place an egg in the center, and crumple wax paper around it to transfer the gilded gold onto the egg. Return to egg carton until dry. Store in a cool, dry place or in the fridge. Do not eat. 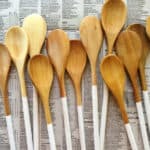 What a fun craft project! I can see Lady A being super into these, so we’re gonna give them a shot!